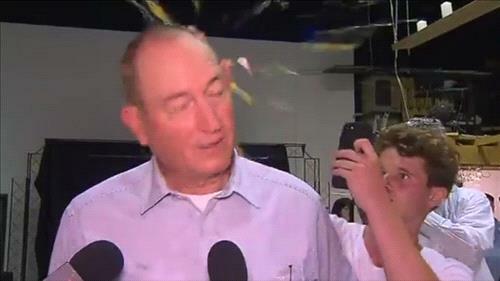 AMMONNEWS - A far-right Australian senator had to be restrained by security officials Saturday after punching a young man protesting his offensive comments about the Christchurch mosque attacks. Prime Minister Scott Morrison described Anning’s comments as “appalling” and “ugly” with “no place in Australia”, as he announced a bipartisan motion of censure would be launched. Anning was elected in 2017 by a fluke of Australia’s proportional voting system, having received only 19 first preference votes. He is unlikely to be re-elected when Australians go to the polls in a vote expected this May.